Do you ever feel like time is going by way too quickly? I can't help but feel that way lately. It's like I blinked, opened my eyes, and several years went by! It really could be the whole parenting four children gig. I'm busy from the moment I wake up until the moment I go to bed, and they're just growing up SO FAST. I've been thinking a lot about my childhood and I'm finally understanding how my mother felt watching her babies grow up. It's HARD. As the youngest of 8 children, I didn't get to spend much time with my mom until I was a preteen (They're calling it tween these days). By that point, all of my siblings were adults, and I was essentially an "only" child. My mom and I reconnected after 12 chaotic years (I get it now! ), and our favorite thing to do was watch movies together until the wee hours of the morning. We laughed our way through so many movies, and often revisited our favorites. We made sure not to wake my dad, because he actually preferred to sleep through the night! I definitely get my late night tendencies from her! Once again, I get it. It's the ONLY quiet time in a 24 hour period, and you have to take advantage of that time! Eventually, I met Grant, and we started to spend a lot of time together. He seamlessly joined in on our movie marathons without complaint. He introduced us to new movies, and willingly watched our favorites. Our movie nights came to an end when Grant and I got married, bought a house, and started a family. I'm not going to lie. I'm an adult, but I often miss those carefree nights spent with my mom. The passing of time sure is bittersweet! Grant and I have our own big family now. 16 years and 4 kids later...here we are! That teenaged couple sitting on the couch 16 years ago had NO idea what was in store for them! Family is VERY important to us, and I firmly believe those nights spent with my mom had a big impact on us. She willingly chose to spend time with her daughter (and eventually her daughter's boyfriend) and I (we) willingly chose to spend time with her. Grant and I make family time a priority, and one of those ways is having Family Movie Night twice a week. We started out taking turns picking a movie, then moved on to watching series of movies like Harry Potter, Despicable Me, and Back to the Future. Grant and I eventually realized we could introduce our kids to some of our childhood favorites! Netflix plays a big role in our Family Movie Nights! Once upon a time, we owned MANY movies on VHS. Remember those? If we told our kids "Be Kind, Rewind" they would look at us like we were insane. DVD's and streaming are the only thing they know! Although we did replace many of our VHS tapes with DVD's, we often turn to Netflix for inspiration, or, let's face it, EASE. One of my childhood favorites was Labyrinth. I watched it over and over with my mom. At that time, Jim Henson's puppets were incredible, and the movie plot is highly entertaining! Grant and I couldn't wait to show it to our kids. It was one of our first picks for Family Movie Night. We were so happy it was a hit with them, too! I loved Pocahontas when it came out! I mean, what girl in the nineties didn't sing Just Around the Riverbend or Colors of the Wind? Of course, we bought it on VHS. I actually still have it on VHS, but it's so much easier to stream on Netflix! Lexie and I watched it together, but I'm still trying to convince Lily to watch it with me! She's not quite convinced that Pocahontas is a Disney Princess. Someday I'll succeed! Grant and I grew up watching Garfield and Friends on Saturday morning cartoons. Remember those days? Our kids couldn't believe that cartoons weren't on every day! Oh, the horror! Grant and I were giddy when we spotted one of our favorite cartoons on Netflix. Obviously, we made our kids watch a few episodes with us. They love Garfield, so they were good sports! Lily's current obsession is My Little Pony: Friendship is Magic. I watched the My Little Pony movie as a child, and although this show is a reboot, the theme song and the names are definitely a blast from the past! They look quite a bit different, but so much is still the same. Lily didn't believe me when I said I played with My Little Pony when I was a child. I proved it by giving her one of my old ponies. Which, of course, is double the size of the current ones! But that theme song? It gets stuck in my head and instantly takes me back to my childhood! These are just a few of our old favorites that we shared with our kids! It's such an amazing experience when you get to share a piece of your childhood with your children. Seeing a movie from your childhood through your child's eyes is almost like watching it for the first time! I treasure those memories I made with my mom. I hope that one day our kids will feel the same way about their time spent with us! I hope they will show their own kids their childhood favorites. Perhaps a few of ours will make their list! ▪ The Super Mario Bros Super Show! What are your favorite shows and movies from your childhood? 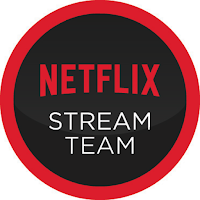 *I'm a member of the Netflix #StreamTeam. All opinions are my own. I was given a free year of Netflix Streaming and promotional items in exchange for my monthly review. Thank you, Netflix, for sponsoring this post! I love the labyrinth! Great blog!! Thank you for Sharing!! Thanks! She was a night owl. I inherited that from her! Haha! I don't think we've ever put on a movie on VHS for the kids. They would probably be astounded! How to Train Your Dragon is a great idea for our next series of movies-thanks!!! Oh my goodness! I remember all of these. Scooby Doo was my favorite for many, many, many years. I remember sobbing one day because I missed an episode (always on Channel 11 at 3 p.m.). How could I possibly wait another, whole 24 hours to watch it again? Inspector Gadget brings back memories too. I loved Scooby Doo, too! We have it on DVD and love to watch it with the kids!